A garden is a place where you share all the wonderful leisure time with your family and friends. It is also an inspiring place where you can utilize your imagination and originality to make it better. Every time I walk into my garden, I always feel like I could do something more to beautify and ornament it. With all the colorful and elaborately cultivated plants, my garden is attractive and full of vigor. But it seems a little bit dull when the sun goes down. 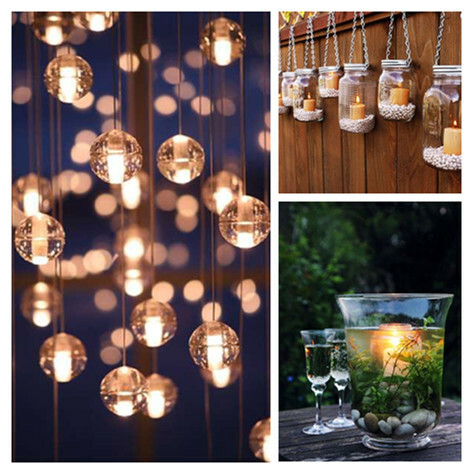 Decorative night lights is a perfect solution to make my garden look stunning all the time. 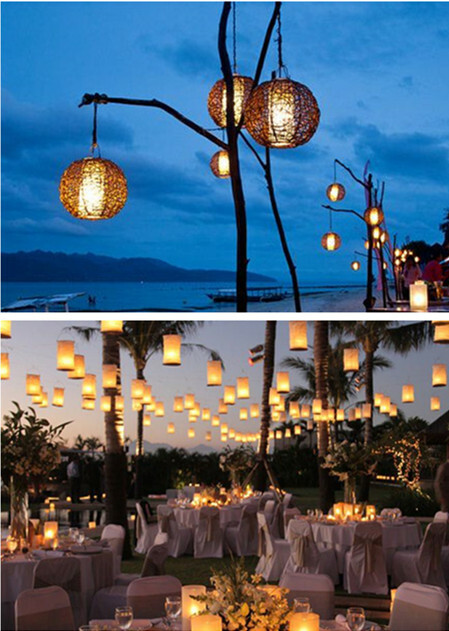 Here are some ideas about outdoor lighting I would like to share. Read on and see if you can get any inspiration from them. Since I wanted to add some cute and fun elements, I ornamented my garden with apple shaped LED lights. These little colorful lights are adorable and cute. 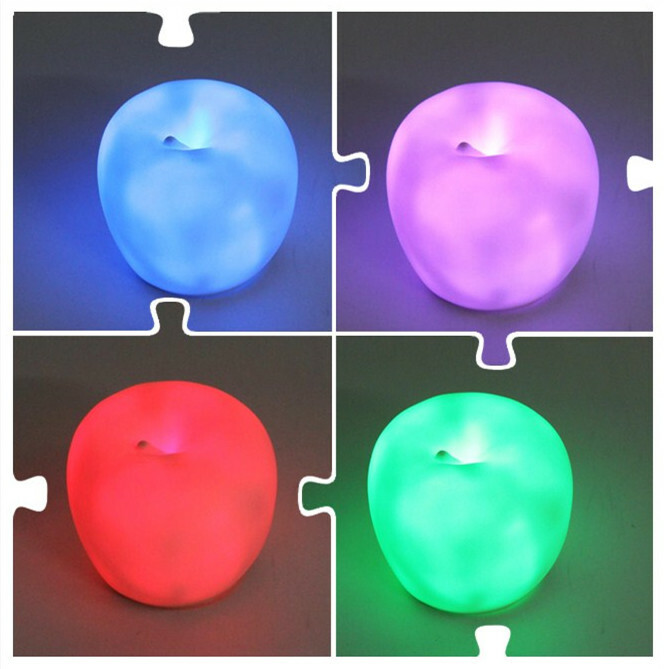 The apple shaped LED light looks particularly fabulous in the quiet night. What could be more comfortable than lying on a deck chair with the gentle breeze caressing your face. You can surround your deck with these brilliant lights. 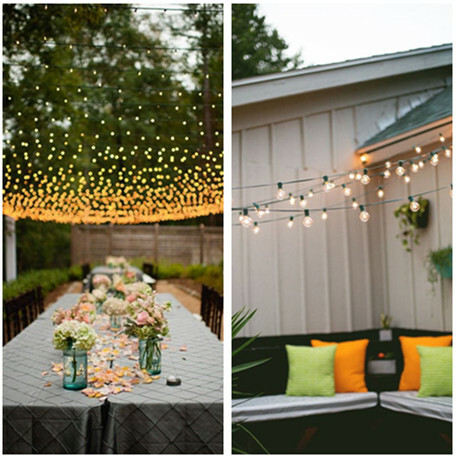 If there isn’t enough lighting in your deck, you may consider hanging some strands of string lights. 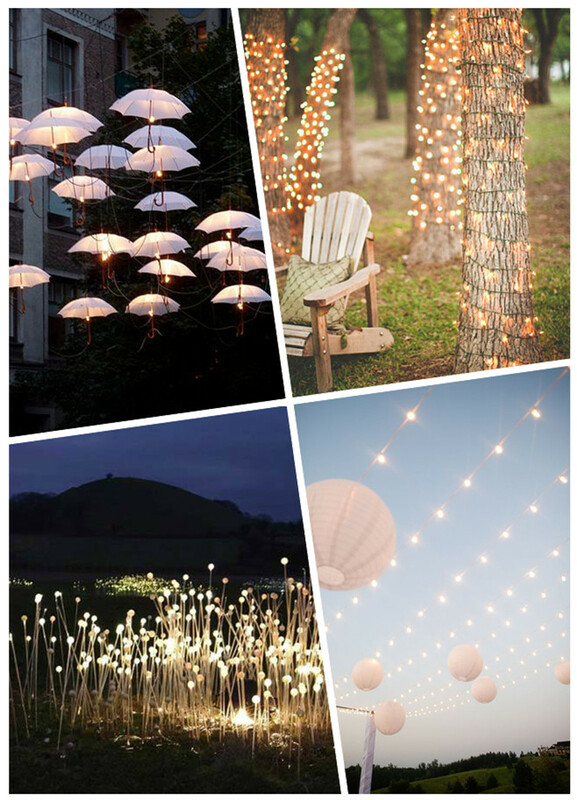 The string lights not only brighten up you deck, but also bring the deck to a new level of awesome. You can adjust the hanging according to the design of the deck and your preferences. My deck looks so stunning that I don’t even want to leave in the summer night. I would grab some pillows and sleep under the spectacular lighting. Instead of using store-bought lighting, you can DIY some unique outdoor lighting to illuminate your garden. 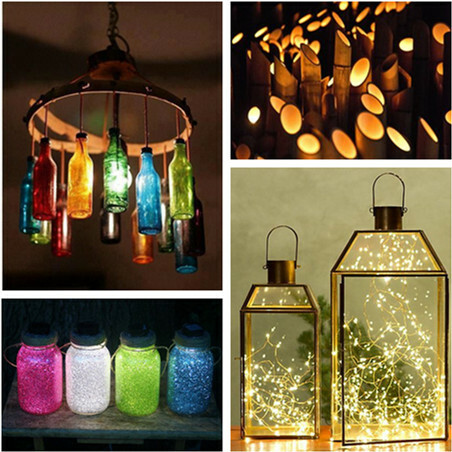 Put something fluorescent in the jar and hang them the way you hang the string lights. Exposed to the sunshine in daytime, the fillings will absorb enough light and glow in the dark. Though the light may be not bright enough, it is the glimmer that creates a dreamlike and fairy garden.